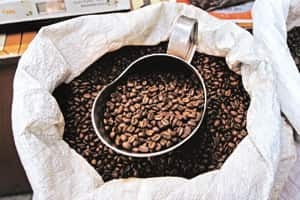 A while back, there was a discussion in Silk List, an Internet mailing group that I belong to, about coffee. While Silk is a global community, what interested me was that many of those discussing coffee happened to be south Indian (judging from their names). This is a pattern. South Indians are obsessed with coffee. Tell me, is it the same for you chai-drinkers? Do you folks dissect tea minutely—where to buy it, which brand is better, how long to steep it, whether to add cow’s milk or buffalo’s milk, whether ginger is better than cardamom for the masala, things like that. Do you guys scour the earth for the best tea and then diss the households that serve you poor versions of this beverage? We do that with coffee. All of us who live south of the Vindhyas. Even gentle souls like my father sometimes refuse to visit a friend’s house at a certain time because they serve poor coffee. “Chakkara kashayam," he will say, which means too much sugar in the decoction. Suresh Ramasubramanian, who I have never met, is an authority on coffee. I encountered him on Silk List, where he posted the provocative query: “Anybody know where to get Mysore Concerns coffee in Madras?" I had heard of Monsooned Malabar coffee and Mysore Nuggets, but never Mysore Concerns. I was intrigued. Turns out Mysore Concerns is a coffee shop in Matunga, Mumbai, which sells great coffee. Several “Silk Listers" as they are called raved about Mysore Concerns coffee. If any of you Mumbaikars have tasted this brew, would you let me know if it is up to snuff? And please realize that if you have a non-south Indian name, chances are that I won’t trust your judgement. Sorry, but when it comes to coffee, I am as fanatical as the rest. I grew up with coffee snobs. Chennai is full of them. I googled Silk List’s Ramasubramanian and discovered that he too is a Chennaiite. His day job has to do with software—IBM, Linux and whatnot—but what he really seems to do is chase coffee. In Chennai, he buys Leo Top blend, which, he says, is a “good nice even roast with a chocolatey aftertaste". Mysore Concerns is a “good dark roast…with none of that chicory rubbish". This is the other thing with south Indian coffee: the whole debate about whether to add chicory and in what percentage. You’d think we would have better things to argue about, but no. Carla Bruni might be carrying; swine flu might be taking over the world; the Afghan elections might be tearing the country apart; but when it comes to coffee, we hone in like owls and forget the world. Most coffee connoisseurs hate chicory. For many years, my mother-in-law, who worked part-time in Delhi, bought coffee at Devan’s Coffee at Khanna Market near Lodhi Colony and carted it all the way to Thiruvananthapuram where she lived. The reason: The Delhi coffee didn’t have chicory mixed in with the powder. I feel sorry for chicory since it is dissed so much. Reflexively, I tend to stick up for it. My father used to go to Leo Coffee on Lattice Bridge Road in Chennai to personally supervise his “Plantation and Peaberry" blend that was mixed without any hint of chicory. Chicory gives coffee its girth. New Orleans coffee comes mixed with chicory as do some Italian ones. Some say that chicory gives them indigestion; others say that it keeps the blood glucose levels down. I have to admit that coffee sans chicory does have a more well-rounded taste with less acid and more flavour. It fills the mouth without tasting like paste. The best coffee in Bangalore is Mysore Nuggets, which Kalmane Coffee in Jayanagar home-delivers. It costs Rs220 for 500g which, when you think about it, is the cost of one “venti latte skim no-sugar" from Starbucks (whose coffees I detest, by the way). The person who introduced me to Mysore Nuggets from Kalmane was Shiv Shankar Shastry, a surgeon who lives in his ancestral home in Basavangudi. He is a friend of a friend and although I don’t know him very well, I invited myself to his house with the ulterior motive of tasting his coffee. I came away with a bag. Predictably, Mysore Nuggets coffee has no chicory. Like most of us, I track several people who I think are interesting. This means that if I meet them at a party, I am likely to sidle up to them and try to make conversation; or stand around tongue-tied. They include Jaisim the architect (because another architect I admire, called Ramu Katakam, told me that he was inspired by Jaisim); Sukanya Ramgopal (a female ghatam player—’nuff said) Girish Karnad (for his breadth of knowledge); Bruhat Bengaluru Mahanagara Palike (BBMP) commissioner Bharat Lal Meena (because Bangalore’s roads are getting paved); assistant commissioner of police Praveen Sood (because I got an Internet email that showed how responsive he was) and Sunalini Menon (whose job title, “coffee taster" makes her compelling). The list is longer, but the build-up was to say that even Menon said that in blind tests, most south Indians preferred a mixture of Peaberry, Plantation and Robusta beans, mixed with (drum roll please) 10% of chicory. Take that, all you chicory snobs.